TL; DR: As CTO of the Dubai-based hosting provider HostSailor, Shehab Ahmed knows robust and scalable infrastructure is essential for businesses to succeed in today’s highly competitive online marketplace. And, since its inception, the company has been committed to delivering cutting-edge hosting solutions to mission- and size-varied organizations around the globe. We recently caught up with Shehab, who told us how an increasing number of businesses are relying on HostSailor’s speed, performance, and high uptime rates to power the web applications that drive their customer interactions and revenue streams. A small team of software developers sits at a table late at night applying the finishing touches to its newest app build to meet a rigid deadline. Fueled by coffee and a cloud-based collaborative platform, each team member makes a final contribution to the project before the application is ready for deployment. However, the team begins to notice significant lag that seems to get worse as the seconds pass. Investigating the connection, one member reports that the servers powering the work environment have gone down. Faced with delays, the team ponders how long it will have to wait to finish the job and how this interruption might affect the company’s image. 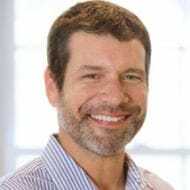 Such scenarios are, unfortunately, all too common and can do irreparable damage to a business’s workflows, reputation, and, ultimately, its bottom line. Downtime not only means internal productivity comes to a screeching halt — it also means customer-facing touchpoints cease to function, which can lead to significant revenue loss. As a result, modern businesses are increasingly turning to hosting providers with reliable, high-performing infrastructure. And, since 2013, HostSailor has delivered just that. CTO Shehab Ahmed told us HostSailor’s robust and reliable infrastructure has been attracting site owners in droves. HostSailor’s collection of hosting packages, including shared, virtual, and dedicated server solutions, were built for high availability, speed, and performance. Equipped with DDoS protection, increased storage capabilities, and fast connections, HostSailor makes it easy for customers to edit and deploy apps reliably and with greater agility, giving them a competitive edge. As HostSailor CTO Shehab Ahmed told us, the company built its reputation on providing some of the most powerful servers for the price point. HostSailor was founded in Dubai as a provider of VPS and dedicated hosting services. With datacenters in far-reaching places, such as Romania and the Netherlands, HostSailor is one of few truly global hosting companies. In a market where many hosting companies use price and service variety to distinguish themselves from competitors, HostSailor focuses on providing innovative hosting solutions to its clients. HostSailor doesn’t copy what the competition is doing. Rather, the company thrives on making waves in the industry. Shehab told us one of HostSailor’s recent ventures has been providing cloud VPSs built specifically for blockchain applications. This has proven useful in relation to the headline-making cryptocurrencies, such as Bitcoin, which rely on blockchain technology to function as a free currency. In general terms, blockchain is capable of verifying transactional data instantaneously, allowing for easier collaboration on anything involving cryptocurrency or documents. “Blockchain is the new trend, as well as the concept of decentralization,” Shehab said. Because blockchains consist of large chains of data, powerful machines — including the virtual servers offered by HostSailor — are essential to mining them. Furthermore, the growing variety and popularity of cryptocurrencies mean more and more businesses have started implementing them as an alternative payment solution to credit cards and bank drafts. While powerful infrastructure is necessary to be successful with cryptocurrency, this is far from its only application. Powered by dark fiber cable systems — among the fastest internet connections in the world — HostSailor is able to deliver lightning-fast speeds through its numerous datacenters, which are configured with the latest switches, connectors, and redundant ports. Superior speed means faster load times on websites and better performance with apps. On the other hand, RAID-configured hard disks equate to essentially zero downtime, as failed hardware can be hot swapped out and easily replaced with no interruption or even slump in service. 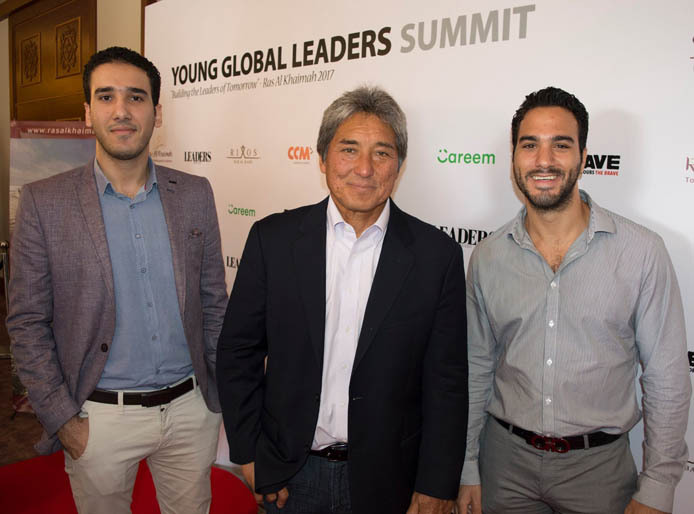 Shehab (left) and HostSailor CEO Khalid Cook (far right) meet with Software Pioneer Guy Kawasaki (middle). With innovation comes the adoption of cutting-edge tech that powers an array of services. Among HostSailor’s most highly praised solutions are its VPS and managed dedicated server offerings. “What we’ve found out is that so many customers want cloud hosting, and they want it decentralized,” Shehab said. There is no single remote system powering a decentralized cloud. As a result, there is no single point of failure, making decentralized systems more reliable and secure. In contrast, a centralized system — such as a financial institution or phone company — can be more easily compromised by those with malicious intent. In 2017, for example, both Equifax and Verizon experienced data breaches that exposed the private information of millions of users. In addition to decentralized cloud storage, every HostSailor VPS comes with managed services and weekly backups. Like HostSailor’s other servers, VPSs are powered by RAID 10 for optimum performance and data security. DDoS protection is offered to both shared and dedicated hosting customers, along with unlimited addon domains and free SSL certificates. Dedicated servers are hosted at HostSailor’s main datacenters in Romania and the Netherlands and are fully customizable, allowing for uplink speeds up to 10GB, as well as unmetered incoming bandwidth. In addition to superior infrastructure, HostSailor boasts outstanding customer support thanks to its dedicated team of tech enthusiasts around the world. With a mission centered on innovation, the HostSailor team makes lightning-fast load times, attack mitigation, and 100% uptime a reality. With fast connections and state-of-the-art, redundant hardware, HostSailor is dedicated to making the web a faster, more secure place — starting with its own clients. HostSailor’s datacenters are routinely monitored and technicians are always available in the event of major hardware failure. While good equipment and services make problems less likely, HostSailor is there for clients when issues slip through the cracks. With clients in numerous countries, HostSailor has tried to make its support system as accessible as possible. “Right now, we have several locations in countries like Romania and the Netherlands and would like to open another location soon,” Shehab said. Customers can get real human help on a 24/7 basis through the host’s chat system, with specialists available to field questions in multiple languages. HostSailor’s team of technical experts not only makes site ownership easier for clients, but paves the way in innovation by employing the best technology possible. Being a company that values innovation above all else, HostSailor constantly has an ear to the ground listening for the latest technological developments. Of particular interest is blockchain technology, which has become very attractive to investors and companies looking to leverage the latest currencies to stay competitive. With the popularity of cryptocurrencies, like Bitcoin, a growing number of customers are using them to more securely pay for goods and services. Because blockchains keep a permanent public record of every transaction, they are particularly useful in keeping currency exchanges transparent. In addition, their decentralized nature makes blockchains resistant to hacking and corruption. As such, HostSailor sees great opportunities on the horizon as it continues to develop and implement the best hardware and software for such heavy-duty computing tasks. 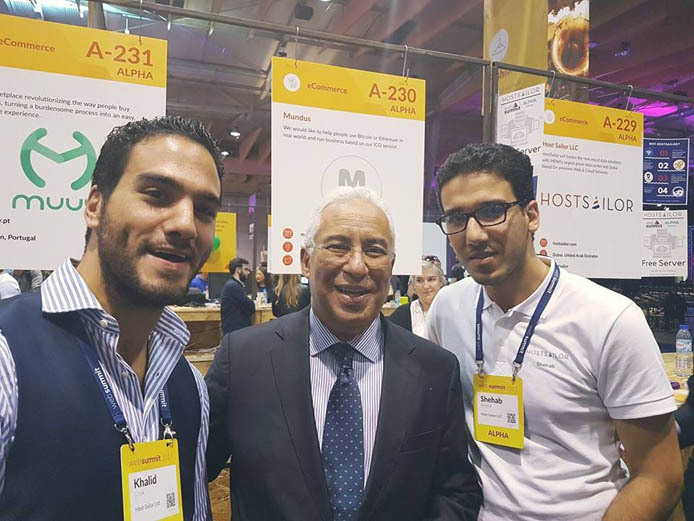 The HostSailor team chatted with the Prime Minister of Portugal at Web Summit — one of the world’s largest tech events. The devastating consequences of downtime are well-known, and the cost of high-performance hosting is a small price to pay for peace of mind. Websites and cloud applications should run smoothly and predictably, preserving revenue and efficiency. By keeping its servers equipped with the latest and most reliable infrastructure, HostSailor is an advocate for its customers’ success.